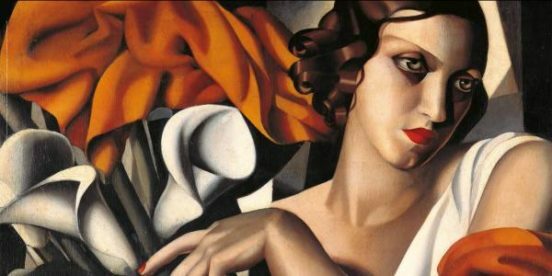 The Google Doodle has remembered Tamara de Lempicka, the so-called “Baroness With a Brush” whose Jazz Age art deco style and celebrity nudes thrilled the world. Lempicka was born on May 16, 1898 in Warsaw. The Polish artist would have turned 120 years old this year. Lempicka was born Maria Gorska. She was the daughter of a Russian Jewish lawyer, Boris Gurwik-Gorski, and a high-born Polish socialite, Malvina Decler. She started painting at the age of 10, when she did a portrait of her younger sister. Lempicka was sent to boarding school in Lausanne, Switzerland, an experience she hated. However, her art training continued when she summered in Italy with her grandmother, where she explored the beauty of the Italian Renaissance painters. In 1915, while visiting Saint Petersburg, she met Polish lawyer Tadeusz Łempicka. The two married, but had to flee Russia in 1917 due to the Russian Revolution. Relocating to Paris, Lempicka continued her artistic training. She began painting in order to make ends meet, studying under Maurice Denis and Andre Lhote. 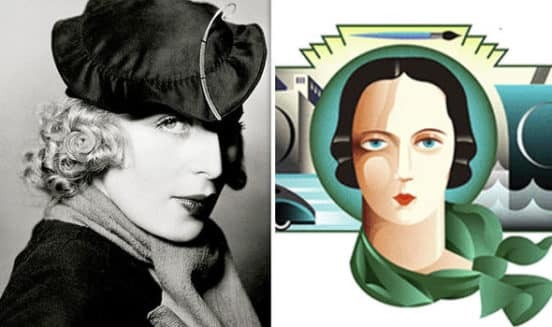 Lempicka’s first brush with fame occurred after she exhibited at the International Exhibition of Modern Decorative and Industrial Arts, where fashion journalists from Harper’s Bazaar spotted her work. The orchids, automobiles and flappers of her paintings were the perfect representative of the Jazz Age. 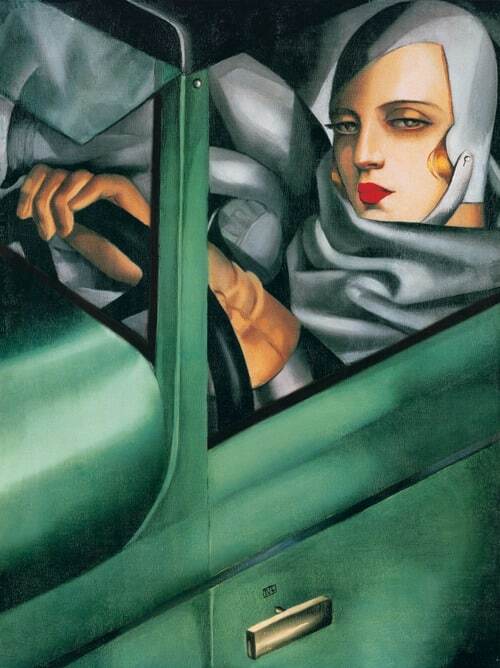 The iconic self-portrait, Tamara in a Green Bugatti, appeared on the cover of German fashion magazine Die Dame in 1929, catapulting her to worldwide fame. In the 1930’s, she started painting celebrities like Queen Elizabeth of Greece, King Alfonso XIII of Spain, and Italian poet Gabriele d’Annunzio. 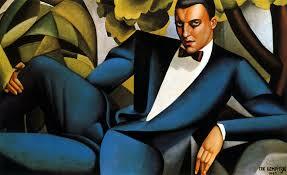 Lempicka became one of the most well-known painters of the Art Deco style. However, unlike other artists of the era, like Diego Rivera, Lempicka avoided large murals and crowded paintings, preferring instead to focus on portraiture. Lempicka was openly bisexual in a way that scandalized people in the 1930’s. “I live life in the margins of society, and the rules of normal society don’t apply to those who live on the fringe,” she said. In 1928, she divorced Tadeusz and became the mistress of Baron Raoul Kuffner, who was an important art collector who had commissioned her to paint a portrait of his then-girlfriend. She eventually married Kuffner. Lempicka also had affairs with notable lesbian artists and writers such as Violet Trefusis, Vita Sackville-West, and Colette. After the outbreak of World War II, she settled in Los Angeles. As abstract impressionism took over the art world, her work fell out of favor. She lived out her life in Houston with her daughter, and later spent her last years in Cuernavaca, Mexico. Lempicka’s work began to be re-discovered, resurfacing every time there was a surge in interest in the Roaring Twenties. 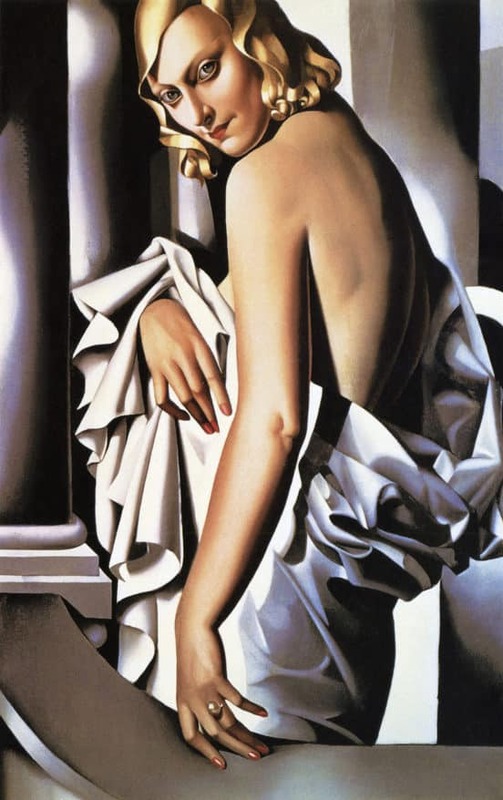 Lempicka is collected by many celebrities, including Jack Nicholson and Barbara Streisand. Madonna is one of her most ardent collectors, lending paintings to worldwide exhibitions and drawing on the paintings for inspiration. The imagery and paintings were featured in Madonna’s music videos for Vogue, Open Your Heart, Express Yourself, and appeared in the movie Who’s That Girl. Madonna 1990 Blond Ambition world tour also used Lempicka imagery.